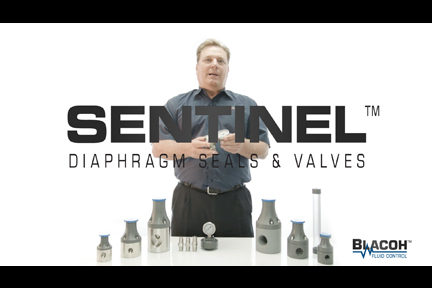 Protect pumping systems and instrumentation, and enhance all around system performance with our complete line of SENTINEL Diaphragm Seals and Valves. 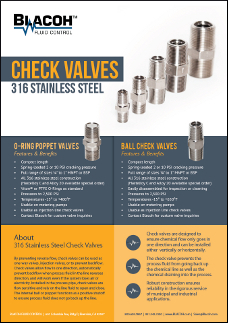 Get the new SENTINEL Price List here, with updated pricing on back pressure valves, pressure relief valves, calibration columns and injection quills. 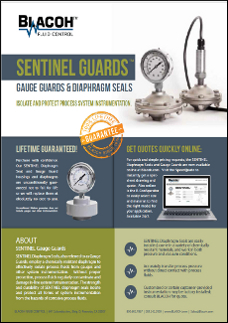 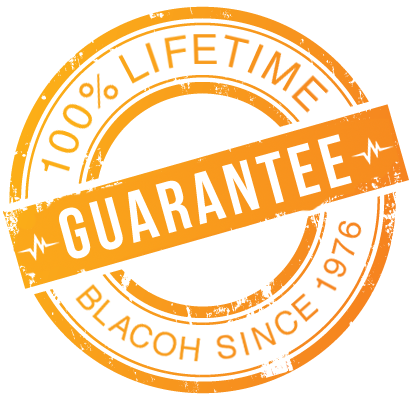 Diaphragm seals, also referred to as gauge guards, isolate all forms of system instrumentation from hazardous and corrosive process fluids… unconditionally guaranteed! 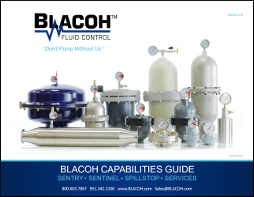 Back pressure valves enhance the performance of pumping systems by applying a continuous back pressure to the system pump, while also acting as an anti-syphon valve. 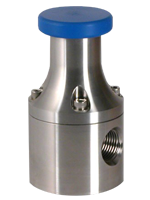 Pressure relief valves protect pumping systems from over pressure damage caused by defective equipment or a blockage in the pump system line. 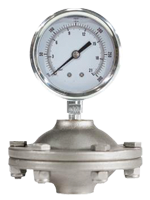 Calibration Columns or Cylinders give accurate calibration of chemical metering pumps and enhance feed systems by verifying the flow rate. 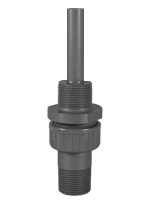 Injection quills are used to provide safe delivery of chemicals into pipelines. 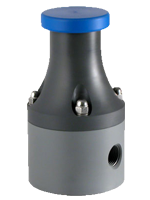 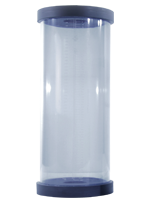 The quill end ensures the dispersion of the chemicals away from the pipe wall.